This is a section of cockpit perspex,armoured glass also engine valve head which has ripped of from the valve still has its black paintwork the pipework parts are from the engine and one looks like high pressure air line from the machine gun firing system the parts have been nicely cleaned still retain some of there original colours and are perfect for display and it have been mounted in to a glass fronted box frame with plane and crash information and pictures the frame is 12 inches by 8 inches in size.The parts come from RAF Spitfire number P9464 of 92 squadron was shot down on 11th September 1940 crashed at Smeeth in Kent. A very nice rare condition part from the famous battle of Britain and RAF Spitfire already to hang on the wall or stand on display. RAF Spitfire number P9464 of 92 squadron was shot down on 11th September 1940 the pilot was Pilot Officer H.D Edwards. Pilot Officer Edwards in his Spitfire was in combat with Messerschmitt 109’s over Kent when he was shot down and crashed into a wood at Evegate Manor Farm in Smeeth near Ashford in Kent. The wreck was not discovered until 7th October 1940. 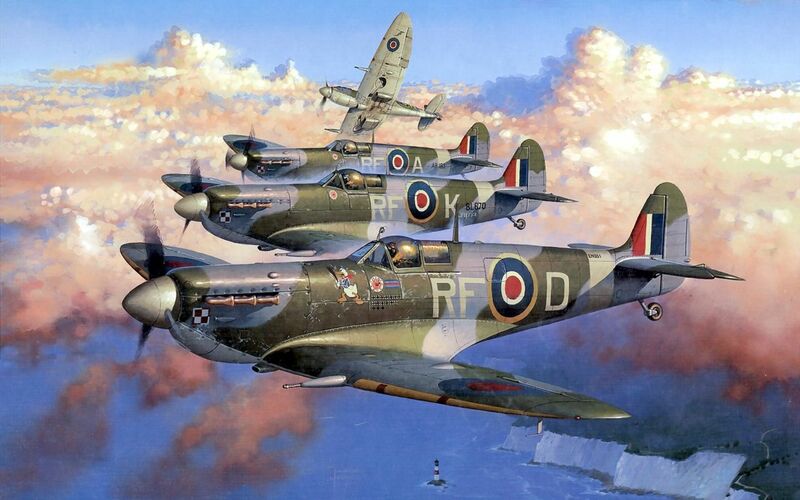 Harry Davies Edwards, of Winnipeg, Canada joined the RAF on a short service commission in January 1939. With his training completed went to 92 Squadron at Tangmere in October 1939.The squadron went to France after the German attack on 10th May and on the 23rd Edwards claimed a Ju88 destroyed and two Messerschmitt 109’s and a Messerschmitt 110 as probable. On the 24th May he claimed a probable Messerschmitt 109 and on 2nd June 1940 he shot down a Heinkel 111 and on the 4th July 1940, he shared in shooting down another Heinkel 111.